Dajie network was founded in 2008 and formally launched in March 2009 and operated, with user's real names and real business social relations as the basis for career development and business development. 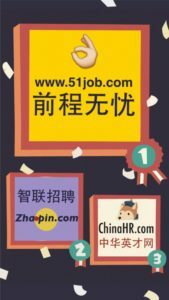 Summary: Founded by Susan Wang (or Wang Xiujuan) in 2008, the generalist job board Dajie is still run by Mrs.Wang today. Dajie is considered the LinkedIn of China because of its employee feedback and the easy interaction between recruiters and candidates (which may or may not be looking for work). The job board also tackles the younger market, by offering a portal to students and targeted jobs for them. You can read more about Dajie in the “About” section (oh which there is more than one, depending on whether you are logged in or not). On social media, Dajie has a WeChat and Weibo account (566 812 followers). Dajie also has a very popular LinkedIn profile (66 232 followers). 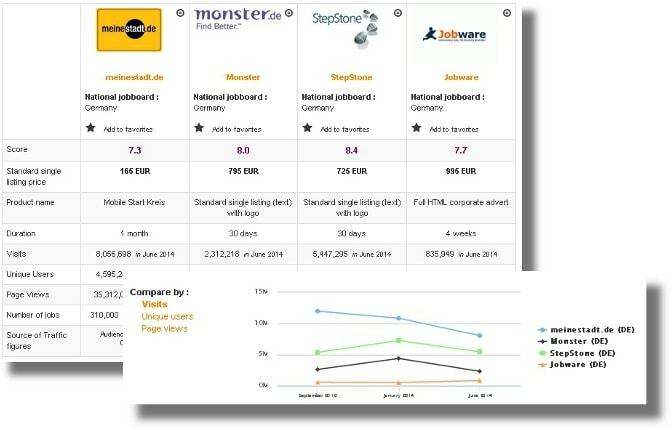 On EasyCounter, 110 000 daily visitors are recorded, and on SimilarWeb, it’s 1.9 million a month. Design: When you access the site, a pop-up appears on the screen asking if you’re a recruiter or jobseeker, forcing you to sign up. If you’re a recruiter, you’re redirected to the recruiter page (red). Like most Chinese sites, the homepage is quite compact. You can check out the current job offers by flipping through the panels: hot jobs, recommended positions, latest positions, high paying jobs. There is also a section specifically for students (which has flashing job offers). Suggested keywords appear under the search engine (keywords and locations) and different portals can be found on the homepage: the campus portal for students, the overseas page for those looking to work internationally (which is a new feature), the different colourful boxes on the left-hand side for popular industries (the icons help figure out what the categories refer to), popular cities (represented by an image), featured companies (you can see the number of offers in the company by running your mouse over the logo), etc. Hot jobs also appear at the top of the page. Depending on where you are on the site, jobs appear in a grid, a list or with large flashy images. Once opened, a job offer includes useful information at the top of the page, a description of the position, a map and keywords. All of the job offers include a salary (which is visible in the listing). 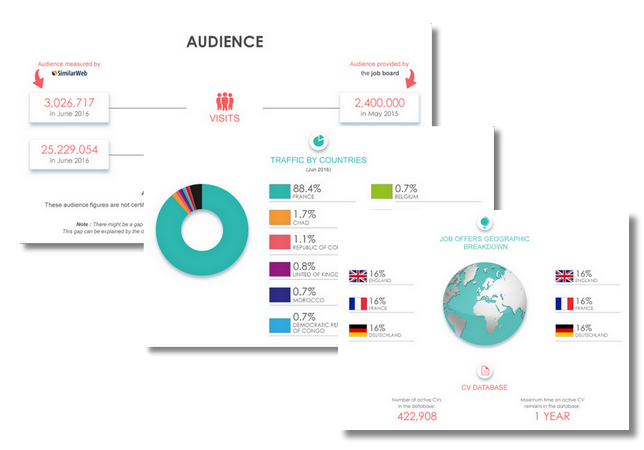 There are more than 1 540 000 recruiters registered on the job board. Companies have detailed pages, including a logo, a rating, a brief description and job offers. Users can also include comments and more in-depth ratings of the company (employees and non-employees) and the profiles of registered employees are visible (with blurred images). The job board objective: Dajie (which means "main street") makes it easy for jobseekers to find out about companies and their offers. Recruiters can also view thousands of jobseeker profiles. Recruiter observations: The recruiter portal is red (as opposed to green). It’s easy to create an account but a phone number is required when filling out the company information. You are asked to scan your business card for the account. When creating a job offer, you must include the salary and offer expiry date. Jobseeker observations: From the moment you open the job board, you sign up. Jobseekers can choose to hide their photo from their CV, but most of the other information must be filled out to apply to job offers. When applying to job offers, your name must appear in characters (not letters). When completing the jobseeker account form, your gender is required. If you apply to a job offer, the website sends you a confirmation e-mail. The job offers: There are thousands of job offers on the job board. Luckily, you can filter them to ensure you aren’t draining in information. Special features: The cute mascot; the Network Security stamp of approval; the error page (going to Mars); phone support (which you can access through WeChat for example); job alerts; the company ratings; the company employees; following companies; the app; the inbox; the feedback options; the timeline; the list of partners; the success stories (from a recruiter point of view); the newsfeed. Verdict: Much like Xing and LinkedIn, Dajie asks jobseekers to sign up to use the services. This means the database is full of active and passive candidates, which is great news for recruiters. Even if the language is a barior, the job board is relatively user-friendly. For more information on China and employment, you can always use other job boards for added knowledge. Login here for FREE to unlock access to the traffic audience, content and pricing section for more information on Dajie.